Professor Stuart Burgess has lectured worldwide and authored several books on Christian apologetics and on Christian living. He has been the chairman of a university department with over six hundred students, as well as, a church pastor. In both secular and Christian settings, Stuart has seen firsthand the blessings of purity in courtship and the serious problems of going against God’s design for romance. Stuart has written the book “God’s Way for Romance” to give more detailed Biblical arguments for purity before marriage and to provide comprehensive guidance in the area of courtship. > to seek the affections of; especially : to seek to win a pledge of marriage. 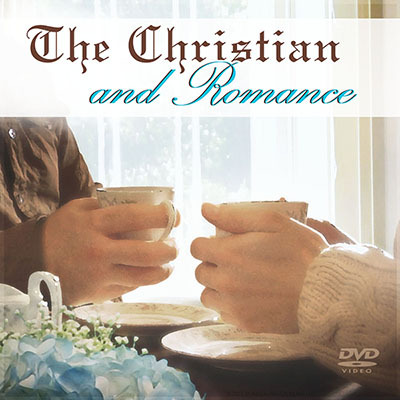 In the video “The Christian and Romance”, Professor Burgess explains key Biblical principles and answers common questions relating to courtship. This video is available in the United Kingdom from Day One Publications and in the United States from Border Watch Films. Why abstain from intimate relationships before marriage? What should be the aim of courtship? When is a person old enough to start courting? How should courtship be conducted? An alternative audio version of “The Christian and Romance” is also available for those who find listening more convenient. Look for it on CD, from iTunes, AmazonMusic or other audio retailers.